Michelle and Chris McColl have been growing certified organic apples at Kalangadoo for the past 11 years. Their apples are truly fresh, picked within 24 hours of the market from February to June. Over 30 varieties of apples are grown, including many old heritage varieties. They also make apple juice, apple cider vinegar and dried apple. Organic peaches are available in January and early February and other fruit seasonally through the year. 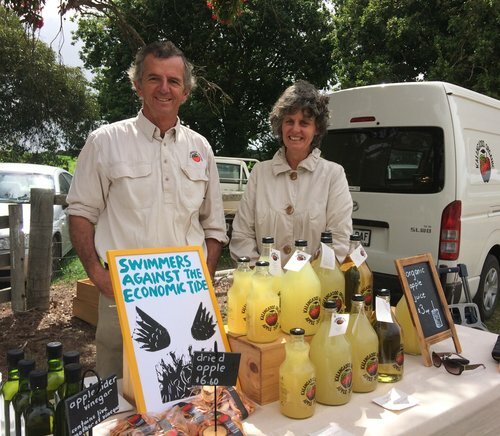 They have started a small organic free range chook enterprise in their orchard and have begun selling these eggs at the Mount Gambier Farmers Market.